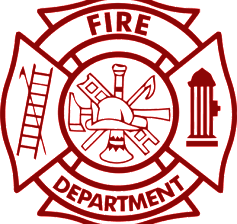 WYTHE COUNTY, Va. – The Barren Springs Fire Department will be hosting their annual fish fry this coming Sunday, September 10, 2017. The fundraising event will be held at the Barren Springs Volunteer Fire Department and begin at 11 a.m. In addition to providing a meal that will include a choice of ham or fish, plus three sides, plus a dessert and drink, raffle tickets will be sold for $5 each. The 1st place raffle winner will receive a Savage Lightweight Hunter 6.5 Creedmore with a $250 gift certificate to New River Sports donated by Hilly Haven Market. 2nd place will receive a CVA APEX .50 Muzzleloader and 3rd place winner will be given a $100 Visa Gift Card. All proceeds will benefit the Barren Springs Volunteer Fire Department. For more information, contact Chief Josh Stitt, 540-239-8464.